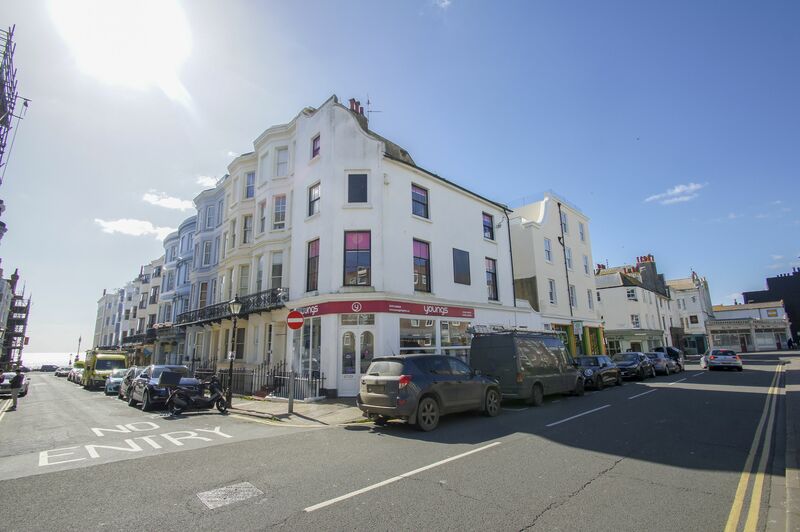 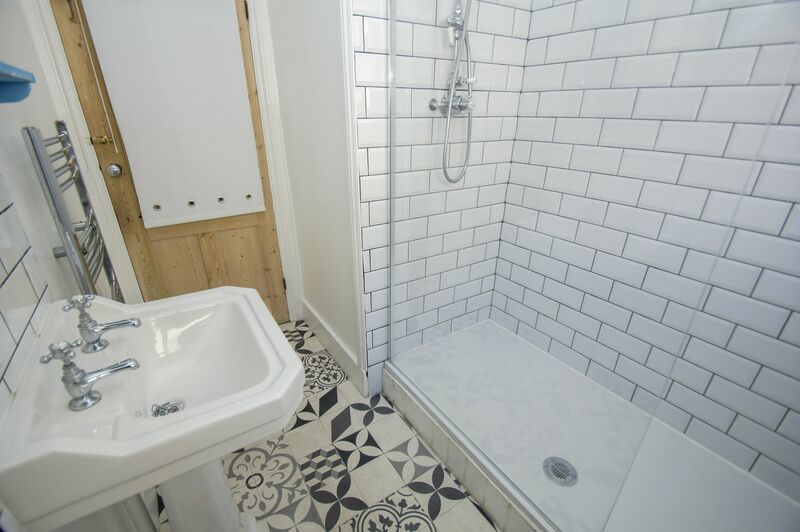 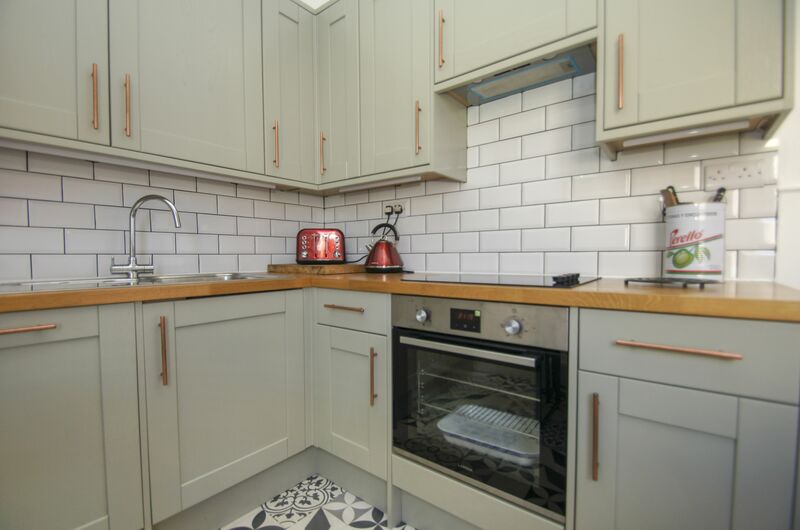 Cool four bedroom, two bathroom house set just moments from the sea and within minutes of Kemptown village. 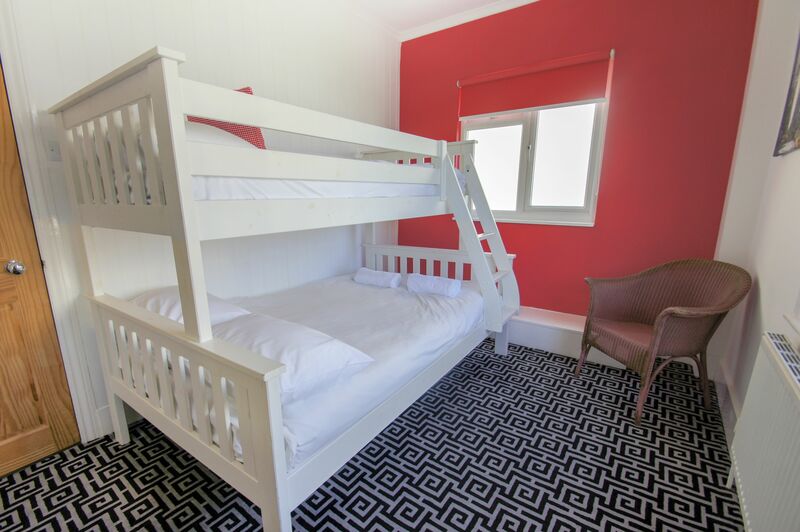 Sleeping 18 people, this is a great property for larger groups. 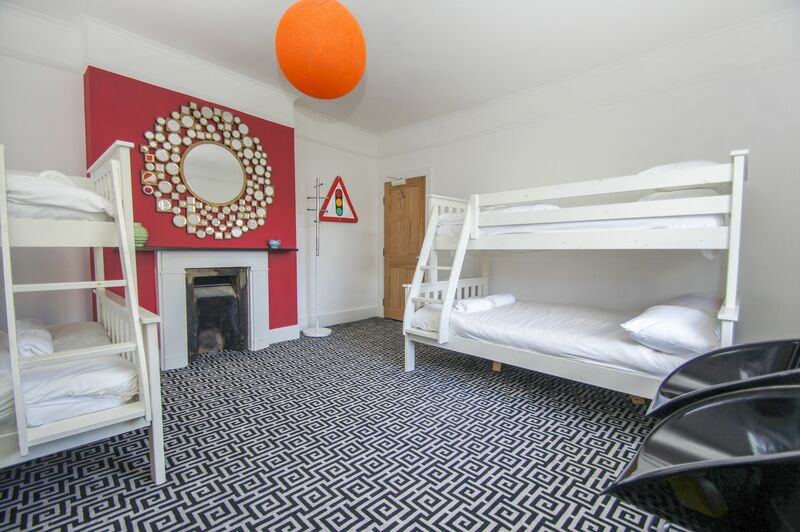 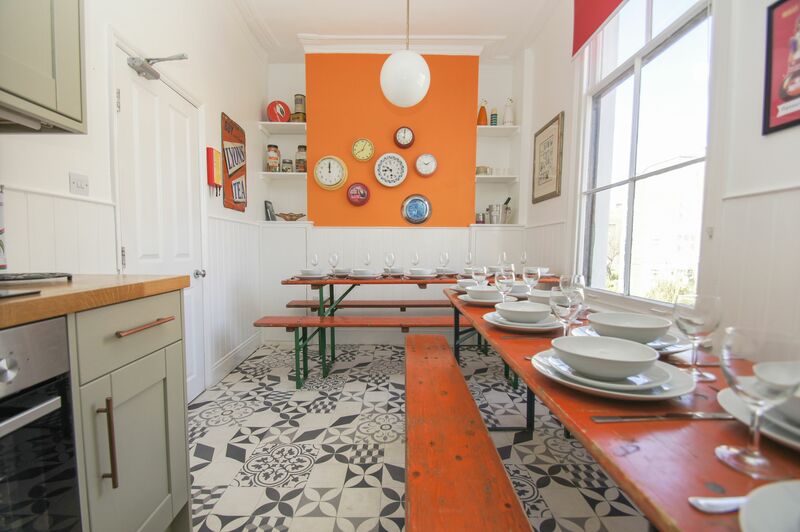 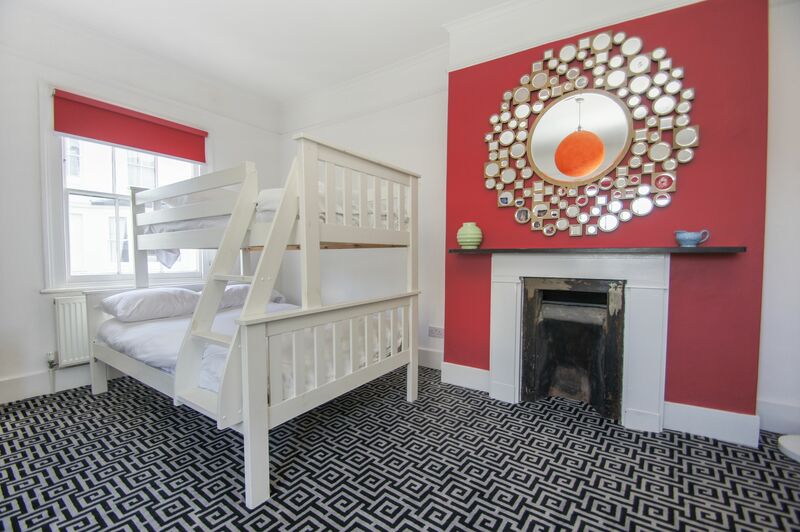 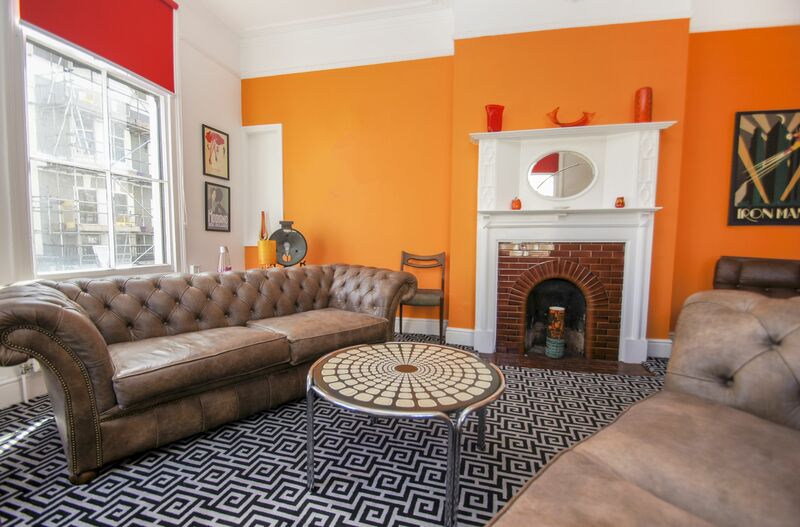 Colourful prints, orange feature walls throughout along with some retro and vintage furniture make this house appeal to guests staying for a weekend as well as larger family groups. 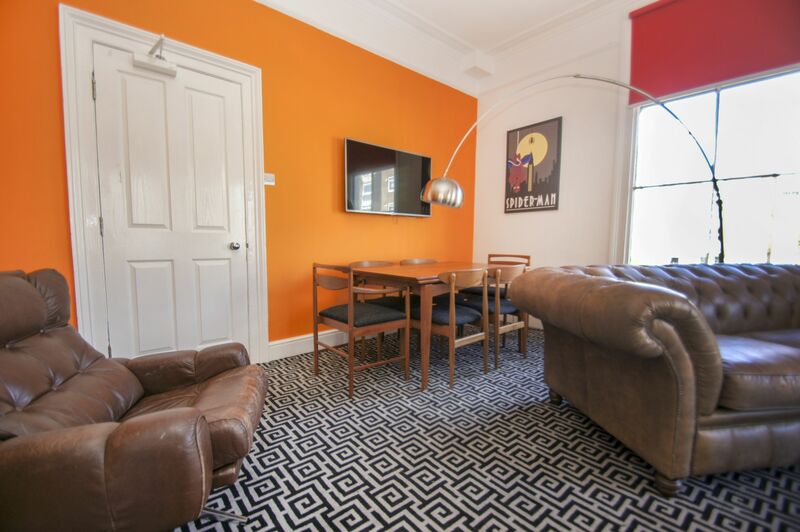 Entry hall with a bench and coat hooks- just the spot to leave your luggage and belongings on arrival. 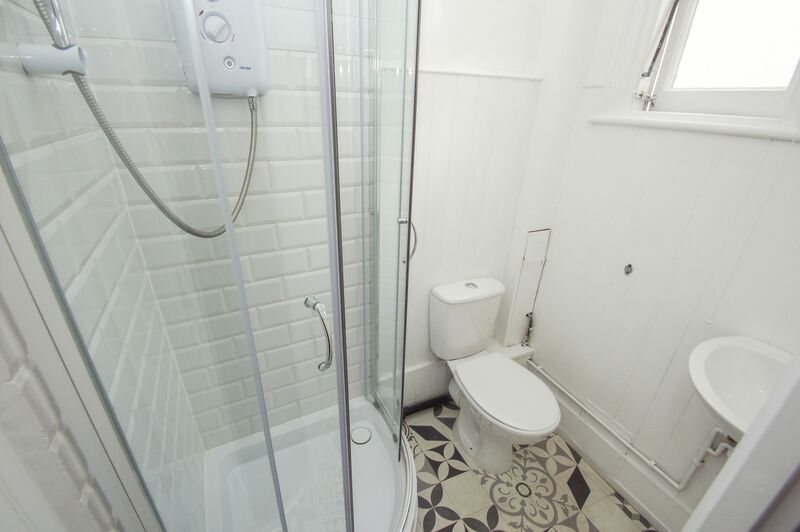 Shower cubicle with wash basin and WC. 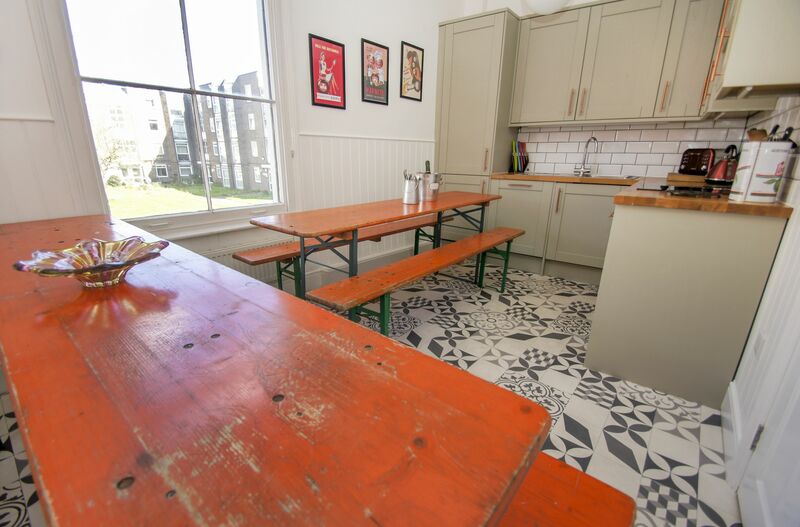 Sage green kitchen fully equipped to cater for a larger groups. 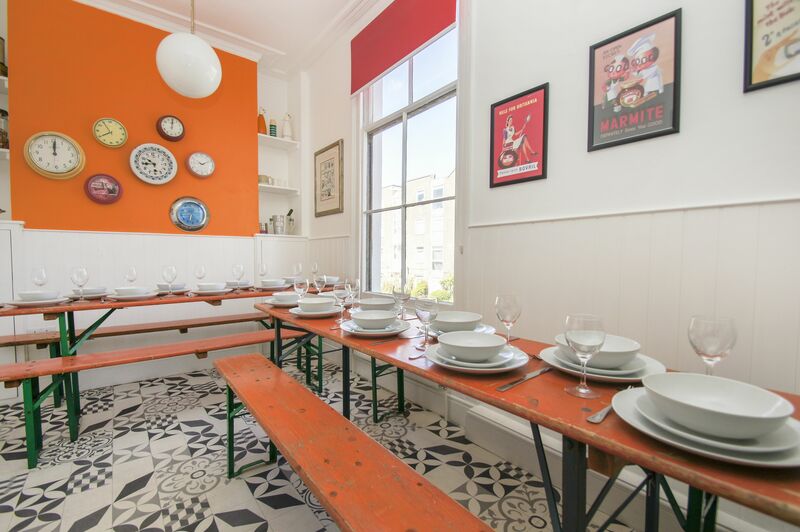 The two wooden tables and benches can seat up to 18 people. 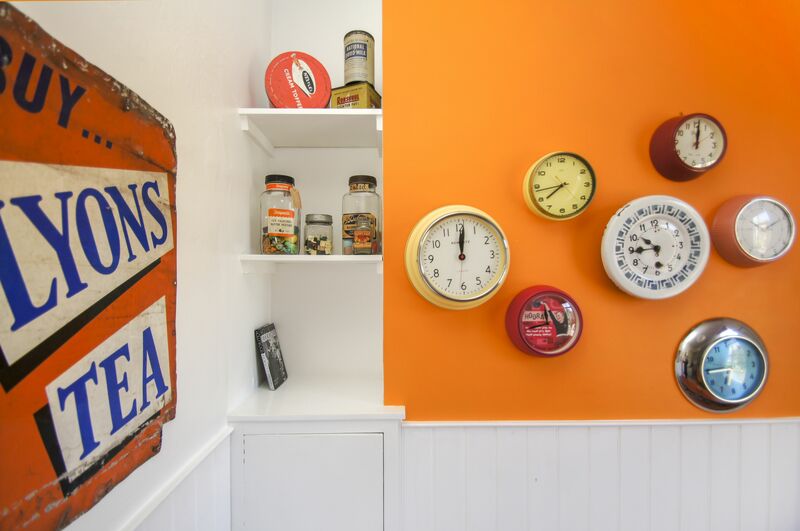 Feature wall with selection of clocks, sweets jars and vintage tins create a different and interesting look. 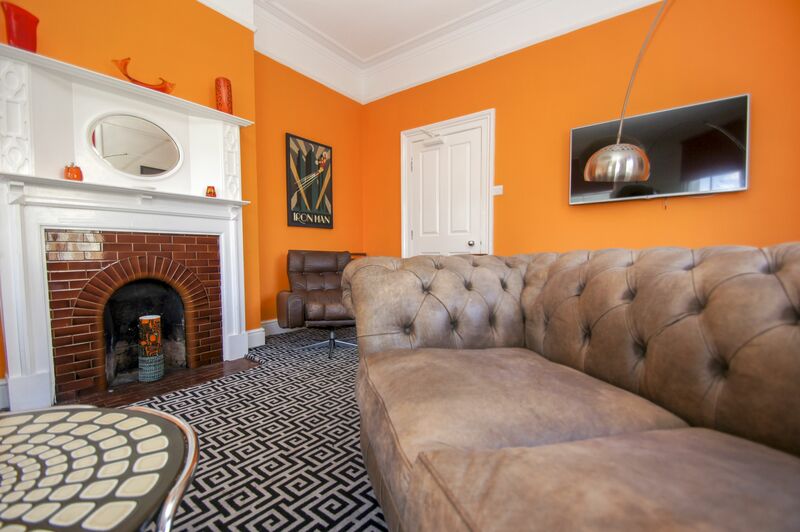 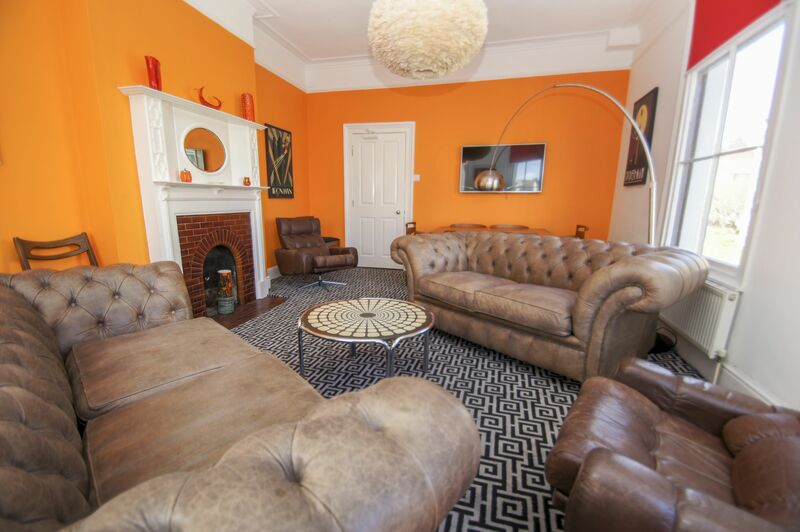 The feature fireplace takes a centre piece in the living room along with great pieces of retro furniture and accessories in bright orange to compliment the feature wall. 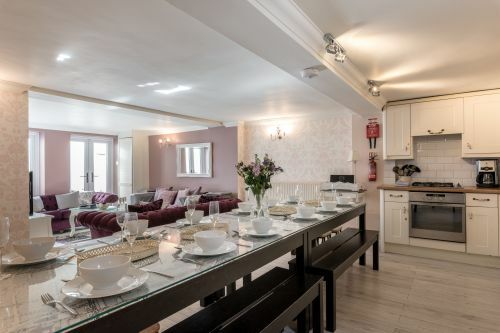 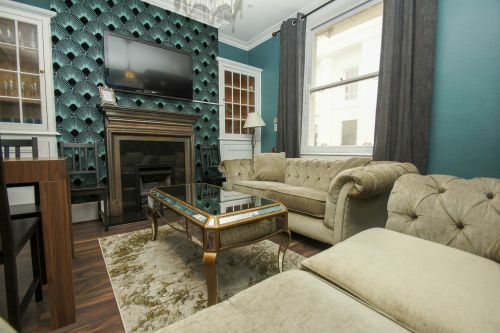 There are two comfy Chesterfield sofas which can be set as sofa beds for extra guests, and for your entertainment there is wall mounted Smart TV and WiFi. 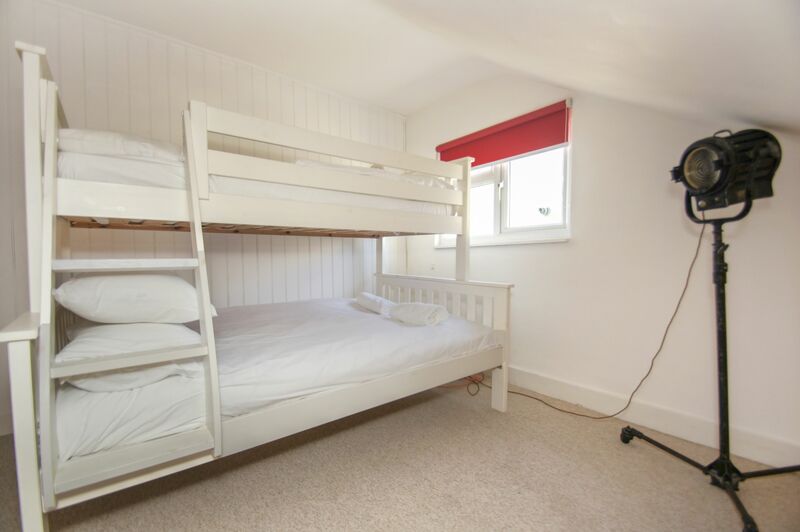 Two triple bunk beds for six guests. 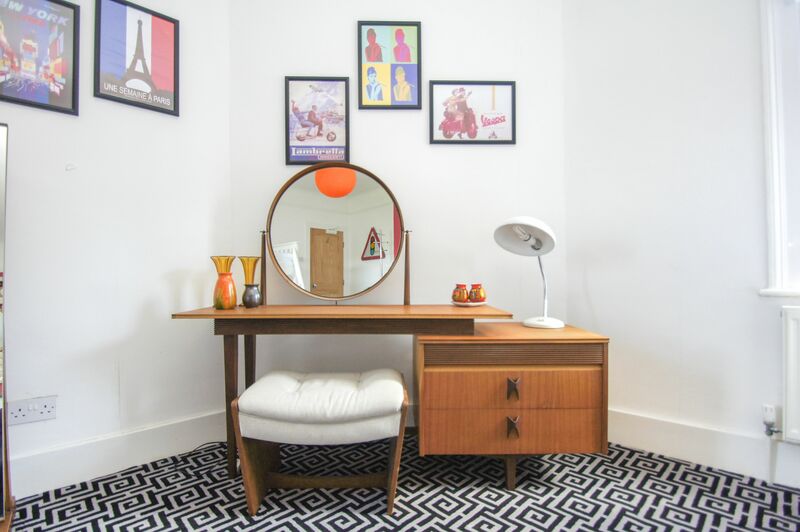 Dressing table with a mirror and a couple of drawers give you the space to leave your essentials for your stay. 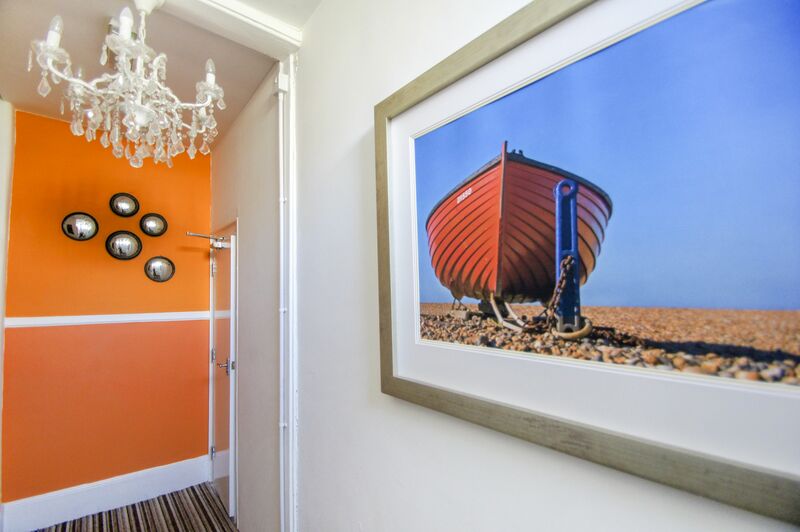 Free standing coat hanger allow for extra hanging space. 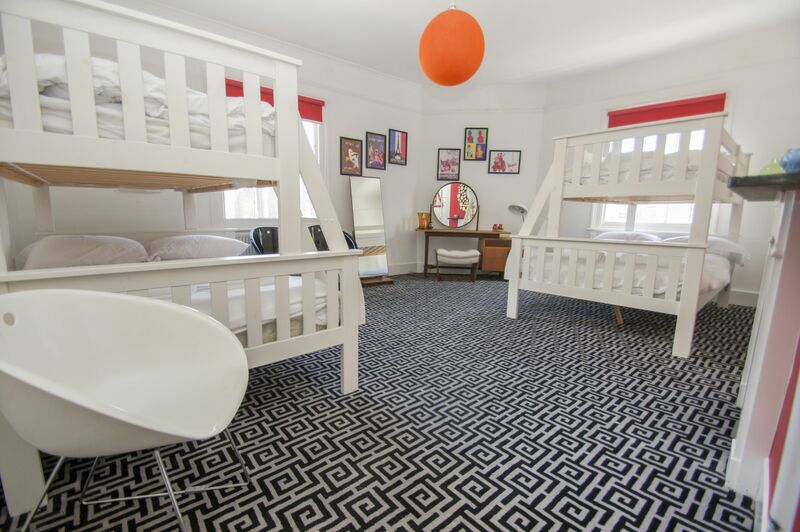 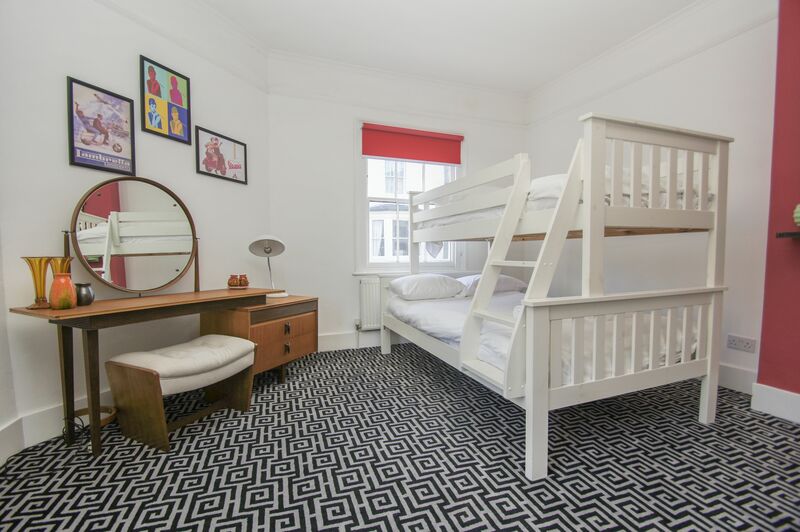 Sleeping three the second bedroom comes with a triple bunk bed with a cool dressing table and black and white prints. 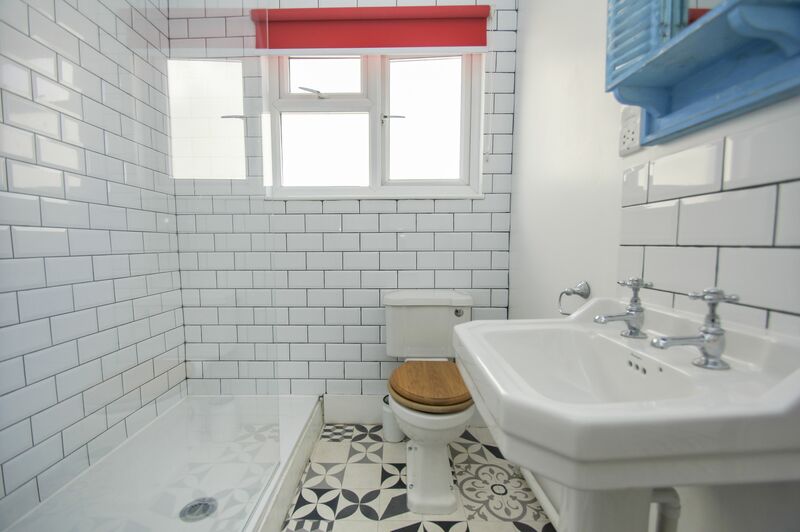 Contemporary bathroom with a large walk in shower, wash basin with a mirror and a cabinet above, heated towel rail and WC located between Bedrooms 1 and 2. 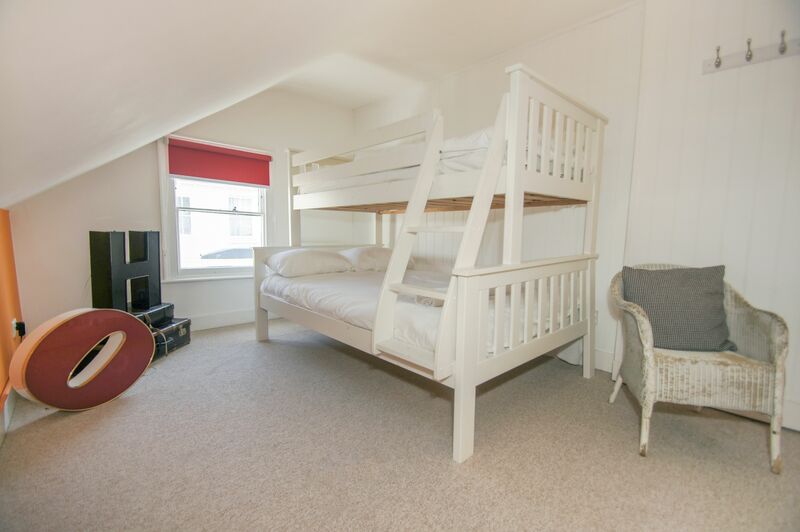 Another triple bunk for three guests with a great size dressing table with drawers for your the things you need. 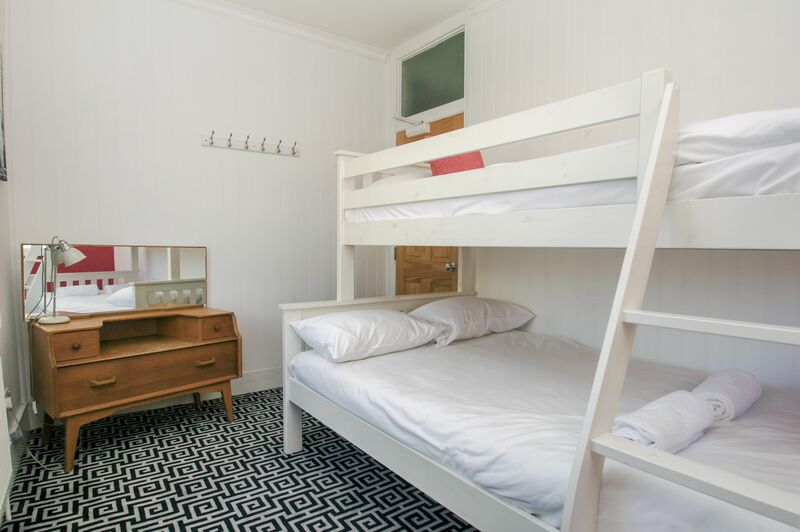 Three guests sleep in a triple bunk with white linen and towels supplied. 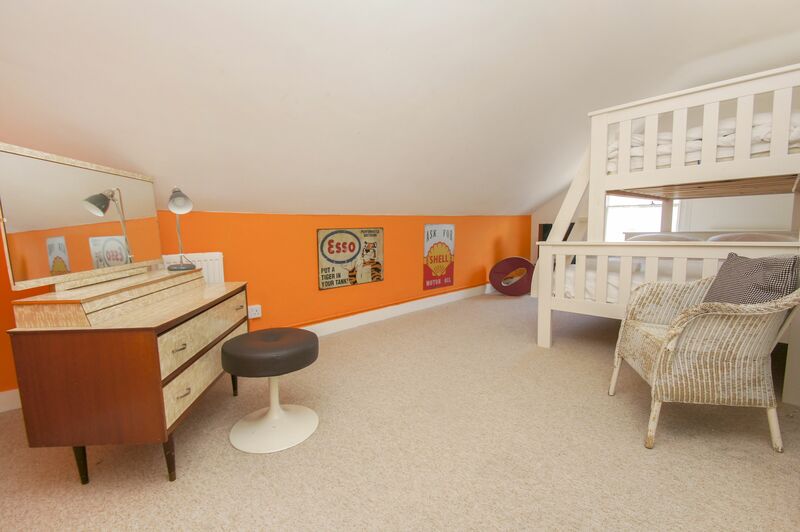 Cool vintage lights serve as night lamps. 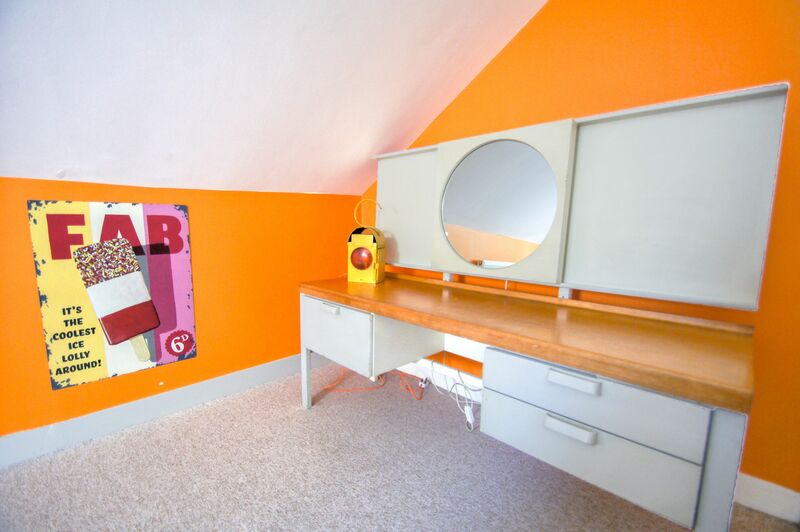 Dressing table with a mirror and drawers for your belongings.